Peel Region is known for its diversity. Visible and religious minorities make up the majority of the population of Brampton and Mississauga. Mosques, mandirs and gurdwaras are common fixtures alongside churches and synagogues. While many Canadians find such diversity enriching, there are pockets of society that view it as unwelcome, even threatening — to the point of motivating a crime. Peel Police Det. Feras Ismail, representing the Equity and Inclusion Bureau, offered a snapshot of hate crimes in the region at Friday’s Police Services Board meeting. While he acknowledges that one hate crime is one too many, his report suggests, perhaps surprisingly, that the number of hate-motivated crimes took a dip in 2018. There were about 107 hate crimes reported in Peel in 2018, down from 158 in the previous year. 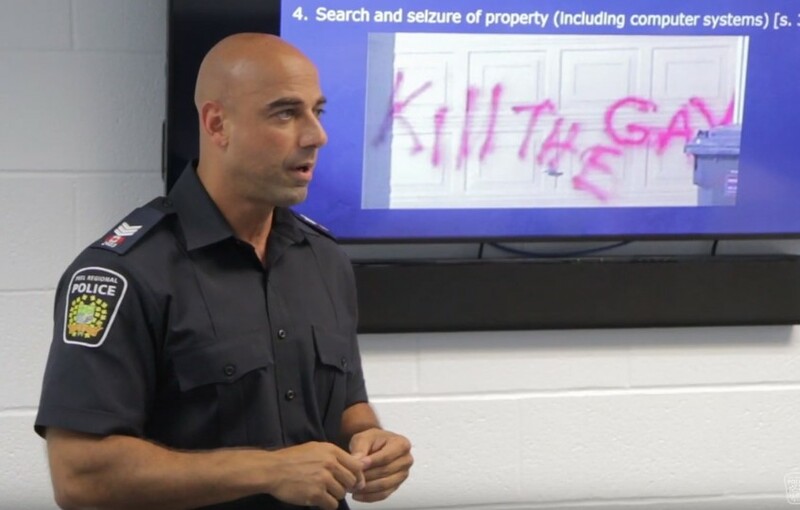 Ismail said one reason may be the arrest of one of two people believed to be responsible for 60 percent of recent mischief-related crimes in Peel, in these cases motivated by racial or religious animus. “I’m happy to report that some of the excellent work done by our 11 Division officers identified one of those suspects, and he was charged with 45 counts of mischief.” The majority of those counts, he said, involved actions directed against Muslims. “That is partly why you see the big drop in numbers,” Ismail told the board. Ismail declined to name the individual arrested but said the person is currently before the courts. “That [the drop in numbers] is certainly not to minimize the impact of hate and that fact that it is a unique type of crime that does create an element of fear and that has a broader residual effect on the community,” he added. In fact, 2018 was still an above-average year for hate crimes, at 107. The exceptionally high number for the year before that (158) represented a huge spike in hate crimes, up from 59 in 2016 and 63 in 2015. For comparison, there were 43,379 general criminal code offences reported in Peel last year, of which hate crimes represented just 0.2 percent. Thirty-four of those 107 crimes resulted in charges, a clearance rate of 32 percent. 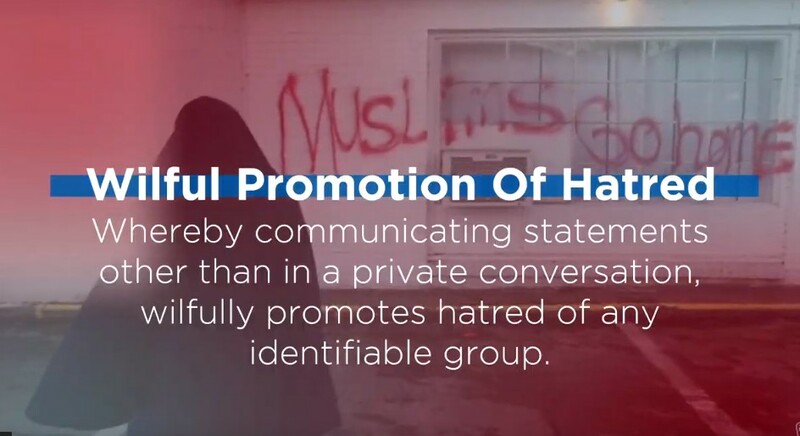 There has been a spike in “hate-related incidents” as well, which differ from hate crimes in that, even if the act is motivated by race, religion or sexual orientation, it does not rise to the level of a crime. This can include derogatory comments and discriminatory behaviour. The report does not say how many hate-related incidents were reported in 2018, but PRP’s website says there were 152 reported incidents in 2017, 102 in 2016 and 31 in 2015. The sharp increase in hate crimes and hate-related incidents over the past two to three years could be explained by the seismic shift in global political culture, spurred by xenophobic, nationalist movements throughout much of the western world. Divisive rhetoric used on various online platforms seems to have gone mainstream, leading to a resurgence of far-right and white nationalist activity in the United States, Canada and in parts of Europe, with nationalist movements becoming increasingly popular in France, Germany, Poland, Hungary and elsewhere over the past decade. The election of U.S. President Donald Trump hasn't helped, with his frequent disparaging of immigrants, refugees, Latin Americans, Muslims, African nations, sexual minorities and more, as well as his failure to denounce white nationalists — those who marched with anti-semitic and anti-minority slogans in Charlottesville, Va., and in other settings. Critics have widely said his behavior sends a signal that racism and intolerance are now condoned. Anti-Muslim and anti-semitic attacks have become common in the news cycle over the past two years. Criminologists say this trend is part of a cycle. When economic disruption leads to the marginalization of people struggling to find decent employment, the scapegoating of minority groups tends to spike. Some politicians are able to gain traction with voters by fostering a perception that immigrants or minorities are the cause of the problem. More people are “starting to align themselves with many of these individuals, who are unfortunately propagating rhetoric and hate and ignorance through many different social media channels,” Ismail told the board. Just last week, Facebook, under pressure to curb hate-promoting groups’ use of the popular platform following the mass murder in March at a New Zealand mosque, banned six Canadian-based groups and individuals for violating its policies against “organized hate” online. “Individuals and organizations who spread hate, attack or call for the exclusion of others on the basis of who they are have no place (on) our services,” the company said. The Hamilton Police Service, which delivered its annual report on hate crimes in March, found a spike in hate-related reports around the same time as Peel experienced it. Though reported hate crimes are relatively rare in Hamilton (there were only five in 2017 and 2018, and 15 in 2016), hate-related incidents remain high; the number of such incidents peaked in 2017 at 131, dropping slightly to 120 in 2018. Race and national original appear to be the main motivations for hate-related offences in Peel. Of the 107 crimes reported last year, 46 were related to race. Religion was the second motivator, at 26. There were nine cases where the target was someone of a minority sexual orientation. Mischief — or property damage — remains the top type of hate crime in Peel, some 49 percent of cases last year. Threats come second, at 17 percent. Violent incidents are comparatively low, with 21 incidents of assault (eight with a weapon and 13 without one). There were two incidents of hate-related attempted murder. “If you look at the numbers, it shows you why we need to take Islamophobia seriously. If you look at the targeted crimes, it's the Jewish and Muslim communities that have faced the most hate crimes in Peel Region — and we have to have no tolerance, no tolerance, for hate crimes,” Brampton Mayor Patrick Brown told The Pointer.